Lok Sabha Elections 2019: Out of the all the 14 Lok Sabha seats that are representative of the north-eastern state of Assam in the Lower House of Parliament, the Autonomous District parliamentary constituency is politically very crucial. It is one of the most politically volatile and important Lok Sabha constituencies in Assam, as it witnesses different armed fractions operating in the area, at different times. Autonomous District Lok Sabha constituency is reserved for candidates belonging to the scheduled tribes. The constituency consists of two autonomous districts-- Dima Hasao and Karbi Anglong which is home to various tribal groups like Karbi, Dimasa, Kuki, Biate, Hmar, Naga Rengma, etc. 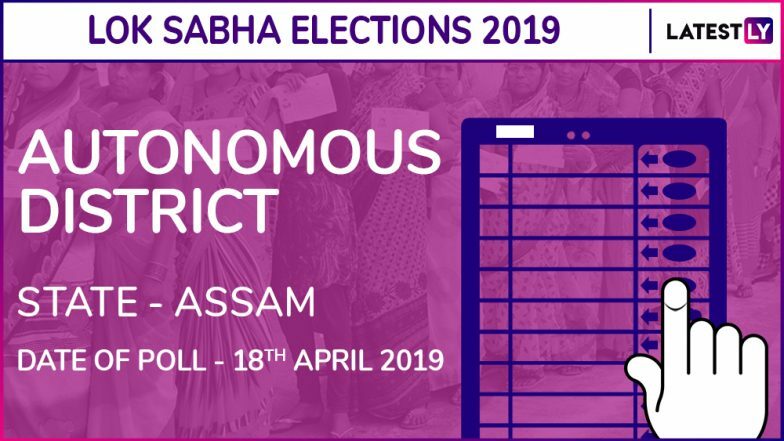 According to the Election Commission of India (ECI), voting in Autonomous district in Assam will take place in the second phase of General Elections, and the date of poll is April 18, 2019. Nowgong Lok Sabha Constituency in Assam. All five assembly constituencies that comprise the Autonomous District parliamentary constituency are reserved for the Scheduled Tribe candidates. In the Autonomous District, the key candidates participating in this year's General Elections are Biren Sing Engti (INC), Horen Sing Bey (BJP) and Leinkhochon (National People’s Party). The last date for filling nominations for the second phase of General Elections was March 26, and March 27 was decided as the final submission of scrutiny of nominations. On the other hand, March 29, was the last date for withdrawal of candidature for the Lok Sabha Elections 2019. Lok Sabha Elections 2019 Schedule. In 2014 Lok Sabha Elections, Biren Singh Engti, member of Indian National Congress (INC) won the majority of votes-- 2,13,152. Joy Ram Engleng, a member of Bharatiya Janata Party (BJP), was the runner up with 1,23,287 votes. The current sitting member of parliament of the Autonomous constituency is Biren Sing Engti. Lok Sabha Elections 2019 will take place from April 11 to May 23. The voting for General Elections this year will be held in seven phases between April 11 to May 19, 2019. Again, May 23, 2019, is decided as the final date for counting and announcement of the Lok Sabha Elections 2019 result.